Hotel ibis budget Regensburg Ost. Book now! Free WIFI! 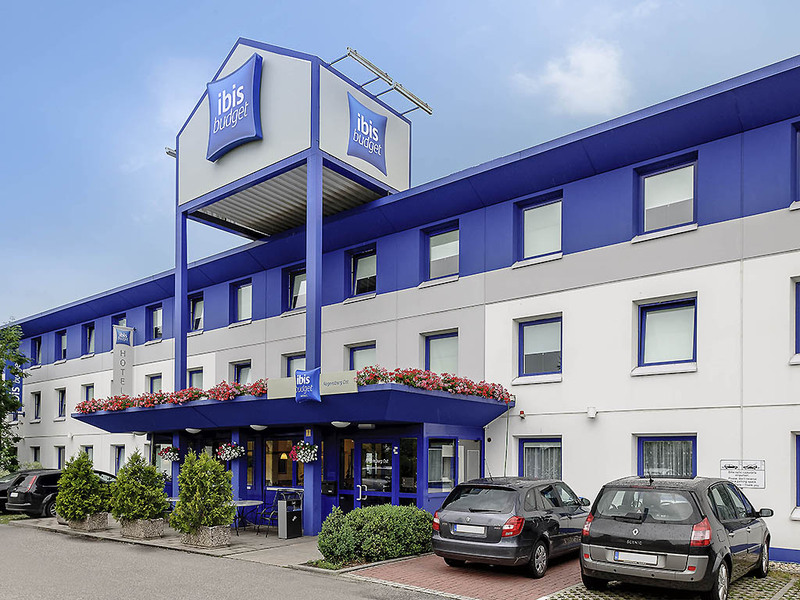 The ibis budget Regensburg Ost is 10 minutes from the city center by car and accessible from the nearby A3 highway. The hotel has 73 comfortable rooms that sleep up to 2 adults and 1 child under 12. You can surf the Internet free of charge using our WIFI access. Our delicious buffet breakfast is served every morning. Free parking is available at the hotel. Nice clean and fresh. The only problem was that even though we booked the room for 3, we only found 2 single duvets, 2 pillows and towels there. As we arrived after midnight we didn't have the chance to ask extra beddings or towels from anyone. I informed the staff in the morning, they apologised half heartedly. I think some kind of refund would be fair! the cleaning staff smoke in front of the main entrance also accessing the breakfast area having coffee and taking food from buffet... A couple of men (probably workers doing renovation) also smoked in the frond door so that you have to ask permission to pass through. in our last night we didn't get towels... For a single night could be ok but not for longer stay. the Hotel itself looks nice, the check-in procedure was fast enough and friendly... what I didn`t like is that the cleaning personnel (accommodation ladies ) access the breakfast area during the breakfast time taking food and coffees with their cups and go outside in the front of the hotel (at the front outside tables) and smoke there like in a dirty and this way making the front of hotel like smoking area (the staff could use the backside for having coffees and smoke). the room is renovated, look nice but a bit dusty. In one day my bed wasn't done and in another, we didn't get towels and bath mats... saying that, most probably I'll not recommend your hotel for long stays... one- two days is ok but not more. I used to stay in another Ibis hotel but they were much better! Excellent little hotel,conveniently located near motorway and petrol station. Arrived on Christmas eve.Staff started at 1700 prompt.Very nice guy,explained everything.Room was tidy and clean, no funny smells mentioned by others.Odd little &quot;walk -in&quot; shower inside the room but very convenient,very good bed and mattress.All in all a very pleasant stay . As is as expected, the only big negative point there is no Lift! The breakfast is good, the location also not bad. There is enought place for parking and also the personal were very helpful when I need them. Located in an industrial outskirt of Regensburg, this Ibitz offered a standard accommodation. Room is small but clean. Reservation and check in/out and location convenient. Bed comfortable and room quiet so good night’s sleep. But was difficult to find parking space in car park and lights over bed were not working. We regularly book a room for 3, it is very rare that we receive 3 towels and 3 blankets. If we arrive late when there is no receptionist we can not even ask for extra towel or blanket.